The article presents the discussion of the issues concerning the nature in the city environment. Several measures on recovery and development of the city’s green frame are proposed. 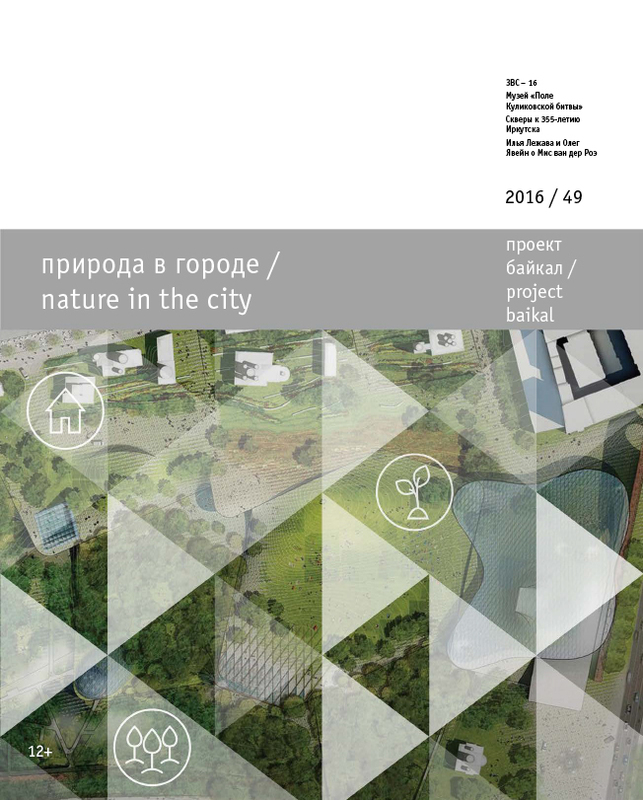 Animate “nature–1” around us is transforming into supported or non-supported by man “nature-2” within the framework of the urban development of town areas. Interaction of town and nature is a bilateral process. Experts underline 4 groups of town planning risks related to the interaction of town and nature: ecological, natural and biosphere, sanitary-epidemiologic risks as well as planning and management risks. The latter is often connected with protest population activities. The magazine is looking forward to readers comments. The article analyses different approaches to ‘green building’ and architecture integrated with nature. It gives definition to the regeneration principle and observes the genesis of world and national experience in roof- and facade greening and ‘hanging gardens’. The article denounces myths and misbeliefs that prevent the wide application of green roofs and facades in Russia. The author expresses her opinion on trimming trees and bushes and supports her point of view with specific examples. The article describes a visit to the roof garden created by the landscape designer Ralph Hancock in the first half of the 20th century. The garden is located on Kensington High Street 101-111, London. The international project competition for the design of a Horse Park in Yeongcheon, Korea was organized by the Korean Racing Authority (KRA) and approved by the UIA. The jury awarded three prizes and eight honourable mentions for projects that successfully integrated the themes of horses and nature with the local history and culture.